If you have been looking for the perfect minivan to purchase to drive around town or for your road trips then you are at the right place because here we will compare the 2017 Chrysler Pacifica and 2016 Toyota Sienna. 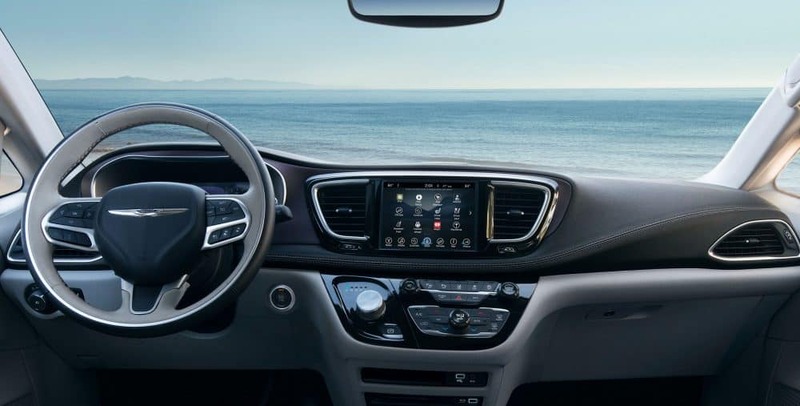 People love the 2017 Chrysler Pacifica because of its available hybrid engine, luxury-based features, convenience features, spacious third-row seat, fancy interior and how it is easy to transform from a cargo to person hauler. Prospective vehicle purchasers consider getting the 2016 Toyota Sienna because of its available all-wheel drive, high-quality interior, far-sliding and comfortable second-row seating, space for up to eight passengers and user-friendly controls. For the 2016 model year certain models of the Toyota Sienna get the Scout GPS Link app that displays smartphone navigation on the minivan's central display. The minivan also gets standard Siri Eyes Free functionality for iPhone users. The Chrysler Pacifica is an all-new vehicle for the 2017 model year. Keep reading to learn more about how the 2017 Chrysler Pacifica and 2016 Toyota Sienna face off! Getting the 2017 Chrysler Pacifica will provide you with a 3.6-liter V6 engine that produces 287 horsepower and 262 lb-ft of torque. Expect to have a nine-speed automatic transmission and front-wheel drive. 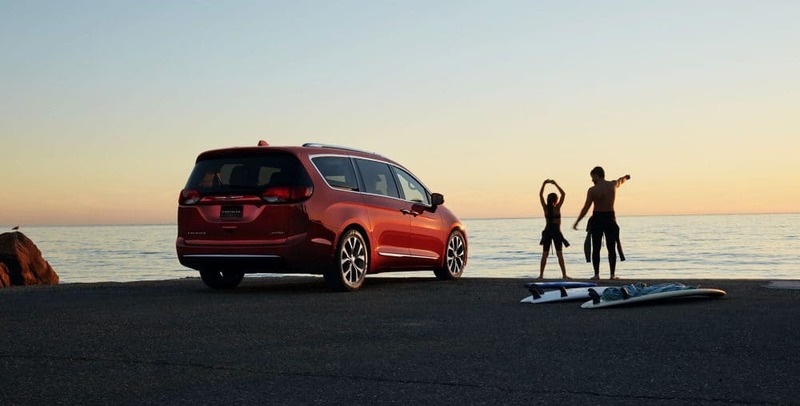 About half-way through the model year you will be able to get the Pacifica with automatic stop-start functionality that will help you conserve gas when the minivan is not moving at places like stop signs or stop lights. For fuel economy you will get up to 28 miles per gallon on the highway. In the city expect to get up to 18 miles per gallon. The combined MPG number comes out to 22. As indicated above the Pacifica makes a hybrid version available. The Pacifica Hybrid comes with a unique version of the V6 engine used on the regular Pacifica. This V6 will help produce 260 horsepower. People who get the 2016 Toyota Sienna get a 3.5-liter V6 engine that produces 266 horsepower and 245 lb-ft of torque. This minivan comes with a six-speed automatic transmission and provides front-wheel drive. However, many trims can be had with all-wheel drive if so desired. The vehicle, if in the LE trim and equipped with front-wheel drive, can speed up from zero to sixty miles per hour within 7.5 seconds. With front-wheel drive you can expect to get up to 25 miles per gallon highway, 18 miles per gallon city and 21 miles per gallon combined. When the minivan is equipped with all-wheel drive count on getting up to 23 miles per gallon highway, 16 miles per gallon city and 19 miles per gallon combined. 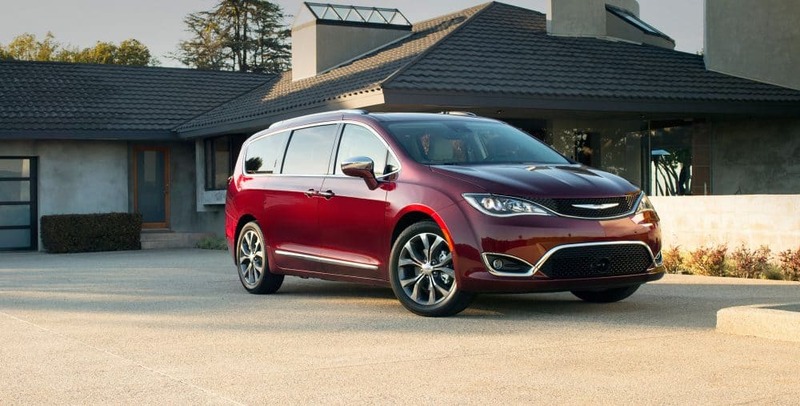 As indicated by the Pacifica's numbers above, the Sienna doesn't provide the best fuel economy available. The 2017 Chrysler Pacifica is available in five trim levels which are LX, Touring, Touring-L, Touring-L Plus and Limited. Getting the Hybrid model will provide you with either the Touring or Limited Platinum trim. The LX is the standard trim that comes with seventeen-inch alloy wheels. You can easily get into the vehicle because of its standard keyless entry. The vehicle provides space for many people to sit in. The second row seats can collapse and fold away to make room for cargo. The third-row seat is a 60/40-split folding one. The 2016 Toyota Sienna, like the 2017 Chrysler Pacifica, is available in five trim levels. The trim levels available for the 2016 Toyota Sienna are base L, LE, SE, XLE and Limited. The base L offers space for up to seven passengers. It will give a buyer seventeen-inch alloy wheels. It will also provide people with cloth upholstery. The vehicle's driver can use a tilt-and-telescoping steering wheel. Although the Toyota Sienna does come with second-row seats, those seats are awkward to remove if you want to use the room the seats take up for storage space. The Sienna is also quite expensive and if you are on a budget you may want to look elsewhere than the Sienna for your minivan. As indicated, people have options if they are looking for the ideal minivan. Two of those available vehicles today are the 2017 Chrysler Pacifica and the 2016 Toyota Sienna. While the 2016 Toyota Sienna offers its seating capacity and good-looking interior, people are going for the 2017 Chrysler Pacifica because of how easy it is to transform from a people to cargo hauler, its available hybrid engine option and spacious third-row seat. Come down to Caitlin Chrysler Dodge Jeep RAM at your earliest convenience to check out our vehicles. We are located at 140 Old York Rd in Jenkintown.